So, you know when you are going and where you are staying. You will probably want theme park tickets, since few people go to Disney World strictly for the resorts and Downtown Disney. Here is how it works: You can buy individual admissions at the gate each day for each park you want to visit. This will set you back an insane amount, because Disney tickets are discounted in multiples. For example, a 5 day ticket is only $10US more than a 4 day ticket, but a 1 day ticket for the Magic Kingdom costs $105US at the time of this entry. 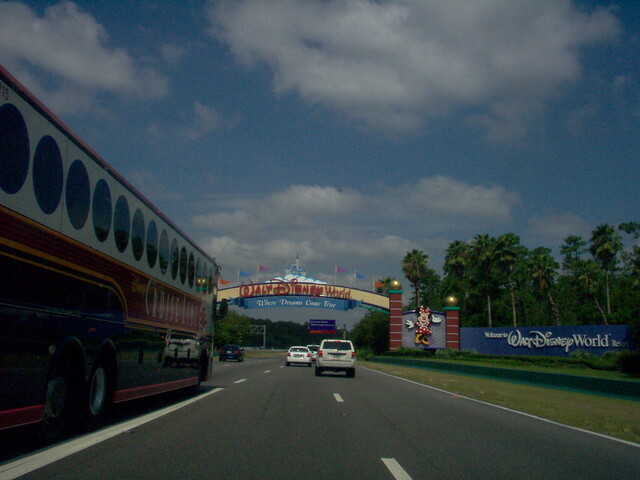 So, it is best to figure out how many days you will be going to the parks. I would recommend 2 days each for Epcot and the Magic Kingdom, and 1 day each for Animal Kingdom and Disney's Hollywood Studios (or whatever they are calling it this week). Base tickets like this are only good for 1 park per day, (and you can't use 2 separate admissions on the same ticket for different parks in the same day) but you can purchase the Park Hopper option on your ticket. This allows you to do multiple parks any day you are using an admission. You can also choose to add water parks to your admission (Disney World has 2 very elaborate ones). You can buy tickets through Disney's own website (on their own, or as part of a room/ticket/whatever package), or through a reseller like CAA, or Undercover Tourist. Beware! There are also scam organizations that will sell you "used tickets" which "still have days on them". Reselling tickets is illegal, and iffy at best.